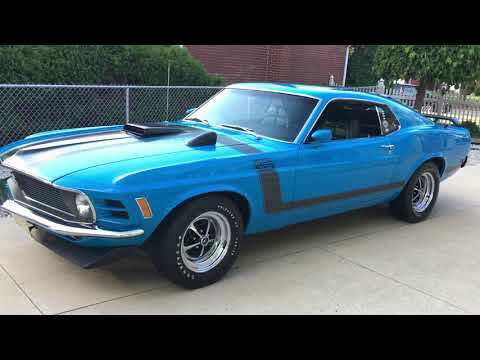 This has to be one of the nicest Boss 302's on the planet when you look at the quality from top to bottom. Built in Dearborn, Michigan 11/25/69. Same owner since 1991 Professional restoration about ten years ago. Always kept in climate controlled garage with roughly 1,500 miles since restoration. Never seen rain, never been washed, meticulously kept. MARTI report, ORIGINAL Build sheet and options sheet.